I have been collecting and receiving sweets from around the globe to consume, enjoy and to share with you! I now have a box in my living room where treats are slowly being added to it and already its making quite a sight! Some are in strange packaging in wonderful, foreign writing that even I can't understand what flavours I have waiting for consumption! I do like to try and stay away from the mainstream sweets that we all know and love/hate. I want to try and find things a little more...out there! And why not? Life is too shot to keep tasting the same sweeties all the time! And its an exciting journey to go and find unusual foods. 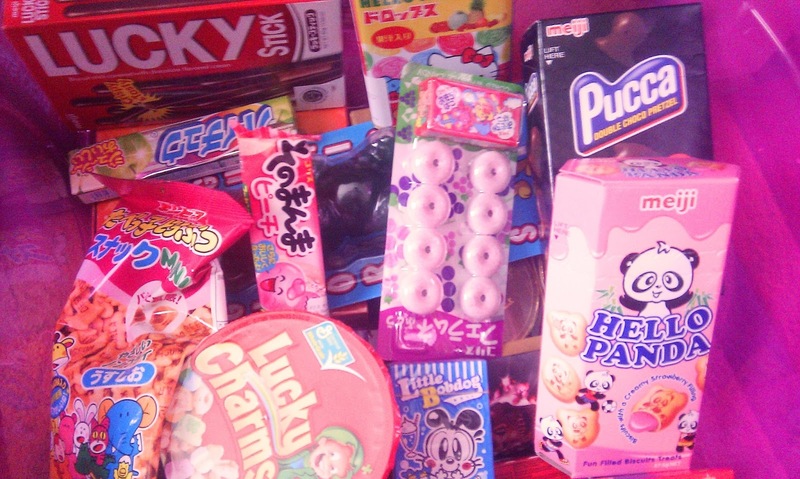 I just got back from London where I stocked up on sweets from both food markets to high end shops. It seems no matter who we are and where we fall on the social spectrum, we all possess a sweet tooth of a kind! After all, in the grey gloom of life, we all need reminding from time to time that life can indeed, be sweet and how better to achieve that than sweets and sugary things themselves?